So i first started at Jada Blitz because i needed help getting back to my pre kids body! I had my children back to back in less than two years and having two children under two i didn’t have much time to myself but needed some self love and and a outlet not only physically but mentally! Training with mike has been nothing short of amazing! His knowledge and passion for what he does is so apparent and his support to me to be the best version of myself is motivation enough to push my body to its limits! He has helped me to loose over 20lbs along side with my nutrition with Justin, gain strength and muscle, and help push me to my max!! 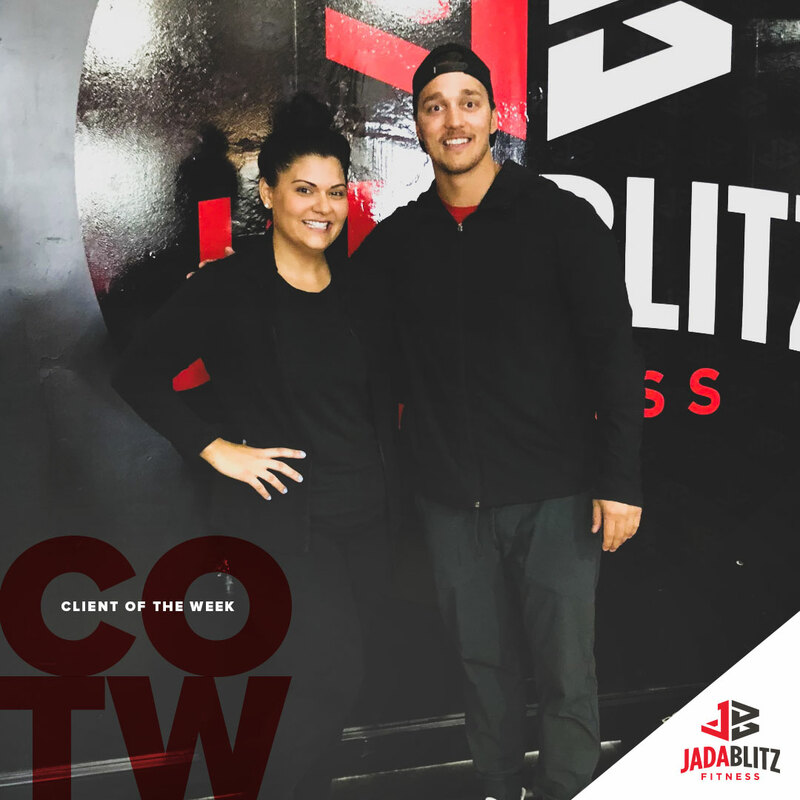 I can say this is only the beginning of my journey and i can’t wait to see what my body is capable of with Mike and the rest of the Jada Blitz team along side of me!! For any moms out there that are so busy taking care of everyone else they need to remember to take care of themselves and give their mind and body some love and Jada Blitz is the perfect place to help you on that journey! I can truly say i love jada, the transformation I’m watching take place with my body and mind, and the friendships i have created there. Jada blitz is for sure one of my happy places!